Edward J. Redlich, SIOR, CCIM, is a Miami native who has over twenty years of experience in commercial real estate. Both of his parents, Ronald and Patty, were also very active in the real estate profession. In 2003, Redlich was initiated as a Certified Commercial Investment Member (CCIM) which is considered to be the “Ph.D. of commercial real estate.” This designation is obtained by completing both educational courses as well as reaching the higher levels of production. Redlich then served as the 2008 President of the CCIM’s Miami-Dade District’s Board of Directors. In 2008, he was designated as a SIOR (Society of Industrial & Office Realtors); the most prestigious real estate group in the world. He served as the SIOR Florida Chapter President for 2014-2015. He has been very actively involved in the Realtor Commercial Alliance (RCA) and served as the 2014 President and was awarded the “2014 Miami Commercial Realtor of the Year”! Redlich served on the Florida Realtor’s Commercial Alliance Committee and was the 2015 Chairman. He is past-Chairman of the Board for both South Dade County’s Vision Council and Vision Foreign Trade Zone. In 2010, ComReal relocated one of their South Florida offices into the foreign trade zone known as the Miami Free Zone in Doral. Redlich’s interest in his customers’ manufacturing and logistics operations has led him to tour China and Hong Kong twice as well as Panama (including the Panama Canal), Peru, Colombia, the Netherlands and Germany. Early in his career, Redlich had also gained hands on experience working for UPS Logistics in the evenings while attending college and working in commercial real estate during the day. 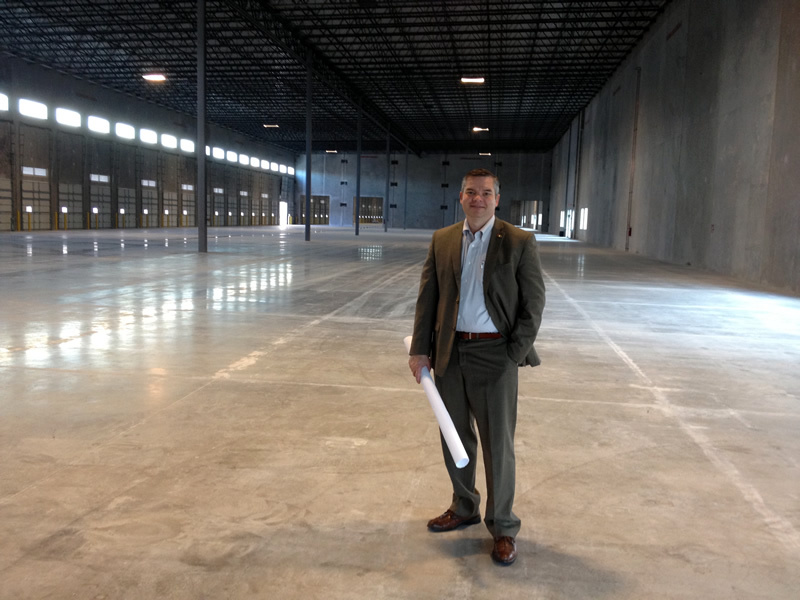 Redlich leads the Miami Industrial Team at ComReal Miami-Doral. Their services include buyer & tenant representation, asset disposition, landlord representation, consultation, site selection, and lease/purchase negotiations. Over the years Redlich has represented all types of businesses including larger, international corporations as well as smaller, local entrepreneurs. His past and present corporate clients include General Electric, Goodyear Tire, Burger King, Precision Response Corporation, Lennox Air Conditioning, Solutions 2 GO, PS Business Parks, Costex Corporation and more. In 2001, Redlich graduated from Florida International University (FIU) with a Bachelor’s Degree in Business Administration with a major in Personnel Management. He is also Past-President of FIU’s Real Estate Alumni Affinity Council (REAAC). AGP Building — 102,000 sq. ft. office/warehouse building with refrigeration located within Americas’ Gateway Park — a 2M sq. ft. business park of 136 acres. Eastgate Business Park at Homestead Park of Commerce — SW 328th St. & 137th Ave. — 197,000 sq. ft. warehouse within a 14.71 acre class A business park. Deerwood Datacenter – 11975 SW 140th Terrace, Miami — 22,000 sq. ft. facility for home health care company. Formerly Burger King Data Center. Costex Corp. Industrial Site — 5800 NW 74th Avenue, Miami — 17 acre industrial site for a new construction of Class A 200,000 sq. ft. warehouse. Enterprise Rent-A-Car — 14000 SW 119th Avenue, Miami — 11,000 sq. ft. office space for South Florida’s regional headquarters. Homestead Park of Commerce — SW 328th Street & 137th Avenue, Homestead — 14 acre site within a master-planned Class A business park. Crossroads Logistics Warehouse — 6301 E 10th Avenue, Hialeah — 978,000 sq. ft. warehouse on 78 acres for short-term lease. AGP Office Warehouse Building — 8875 NW 23rd Street, Airport West/Doral — 12,500 sq. ft. office/warehouse building sold for $2,300,000. Gateway Warehouse — 11125 NW 29th Street, Airport West/Doral — 40,000 sq. ft. warehouse building on 2 acres for $4,250,000. Ozburn-Hessey Logistics — 3200 NW 119th Street, North Dade — 103,000 sq. ft. warehouse space leased. Baker Property — 8321 NW 90th Street, Medley — 3 acre site sold for $2,315,000. Melrose Warehouse — 3400 NW 31st Street, Airport East — 87,000 sq. ft. distribution warehouse sold for $4,300,000. Metallic Warehouse — 5150 NW 72nd Avenue, Airport West — 24,000 sq. ft. on 2.3 acres sold for $2,150,000. Redland Professional Park — 10th Avenue & 4th Street, Homestead — 8.66 acre industrial site sold for $1,813,000. State Farm Office Building — 8825 NW 21st Terrace , Airport West/Doral — 13,000 sq. ft. office building on 2 acres sold for $2,292,000. SM Farm Supply — 13700 SW 248th Street, South Dade — Three buildings of 30,000 sq. ft. on 5.1 acres for $2,000,000. Princeton 22 — SW 260th Street & 142nd Avenue, South Dade — 22 acre industrial site sold for $4,065,000. Princeton 27 — Highway US 1 & 240th Street, South Dade — 27 acre site sold twice simultaneously for $3,050,000 and $4,300,000.